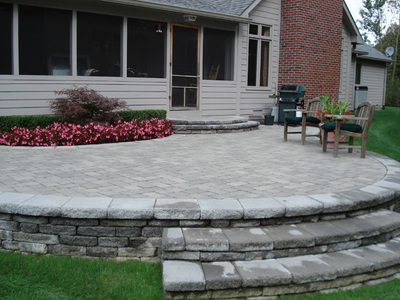 Extend the living area of your home with a paver patio or enhance the appeal of your home or business with a paver walk or driveway. 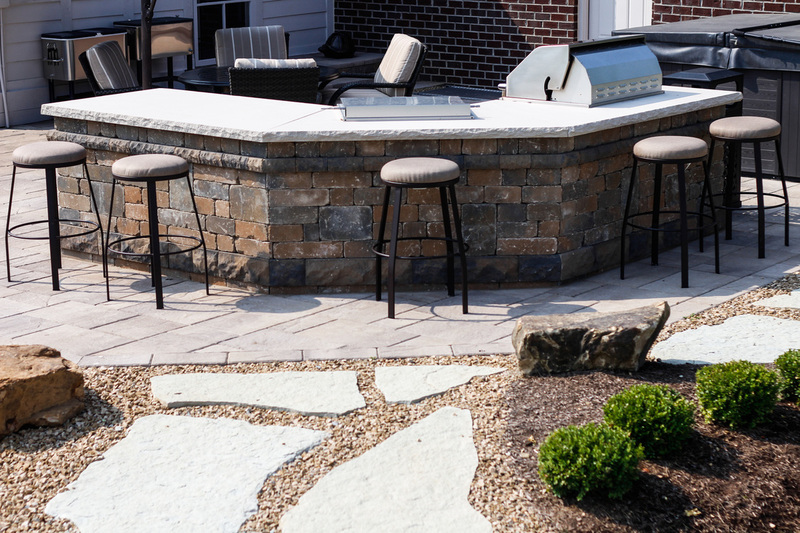 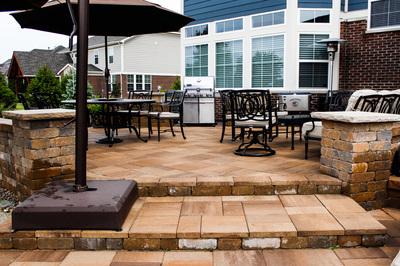 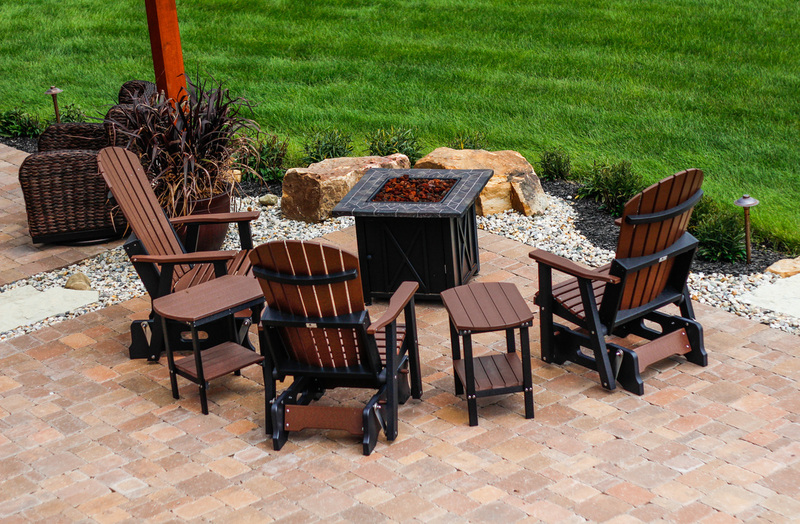 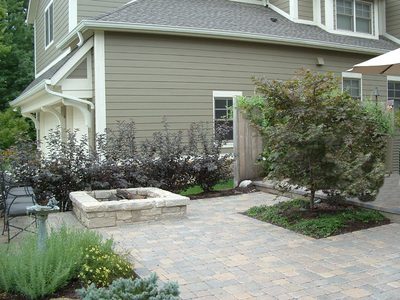 The distinction that pavers add to an outdoor living area is undeniable and will last a lifetime with minimal care. Paved areas are practically indestructible and withstand breaking, shifting, cracking and chipping which is common with concrete surfaces. 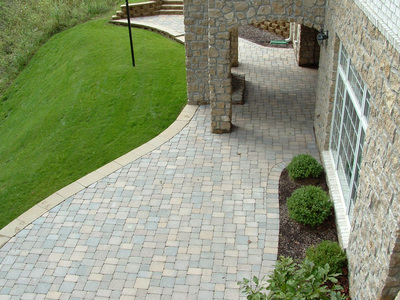 Limitless styles, colors and textures can be achieved. Pavers provide a key role in your overall landscape architecture, providing the finishing touches to a fully developed plan. 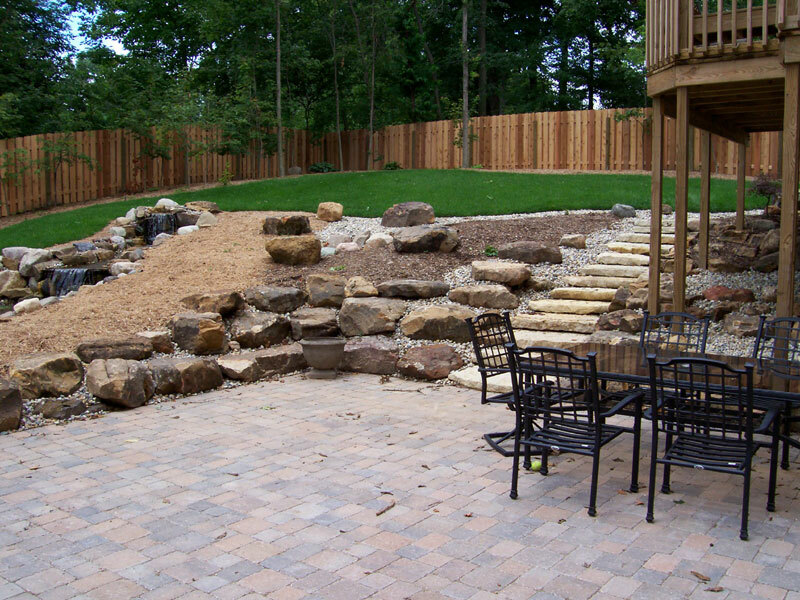 Retaining walls are many times a necessary addition to control a grade situation. 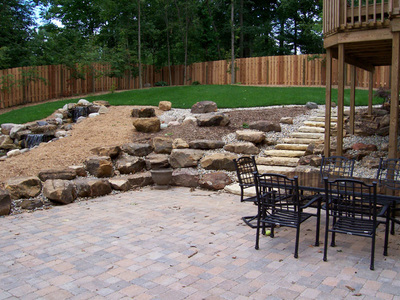 They also can be used simply to provide additional structure and texture to a landscape. 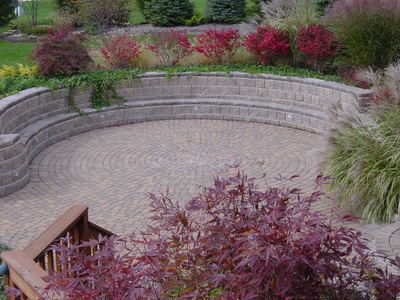 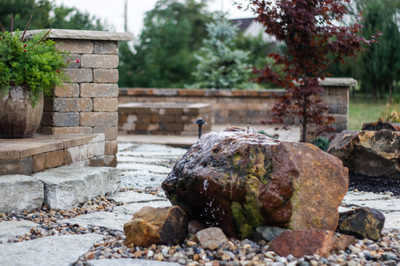 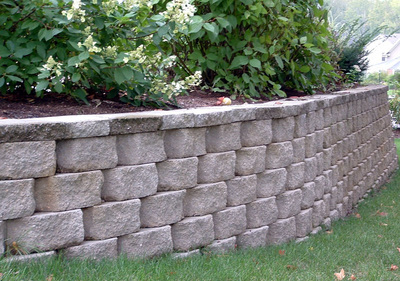 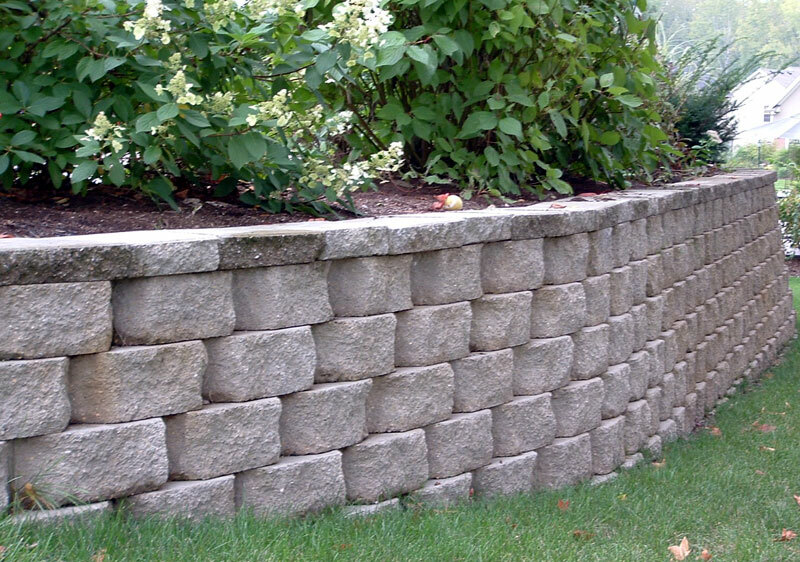 Various styles, colors and textures are also available in retaining walls. 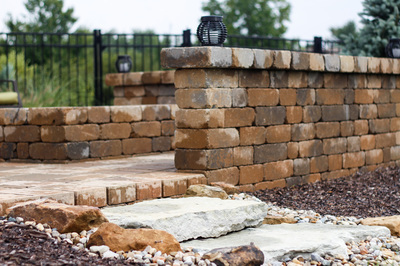 This includes anything from natural stone and timber, to man made products resembling stone.